Professor Arlene Kanter will spend the next two semesters away from the College of Law deeply engaged in disability rights scholarship and advocacy around the world. 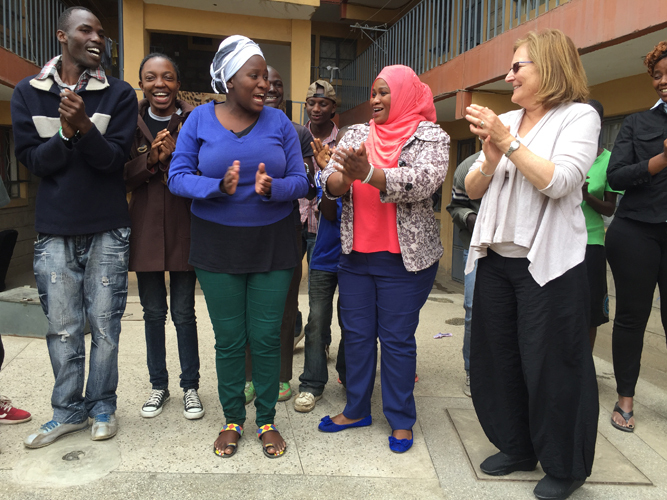 Her sabbatical began in June with a number of activities in Nairobi, Kenya, including conferences on Disability and Justice and Violence against Children and lectures at Kenyatta University and the University of Nairobi. In August 2017, Kanter will spend a month in Israel conducting research on the impact of new legally mandated support centers for students with disabilities in Israeli universities in conjunction with a team of researchers from Haifa University. In the fall semester, Professor Kanter will be a visiting scholar at Harvard Law School. Then, in spring, she will be a prestigious Lady Davis Fellow at the Hebrew University Faculty of Law. 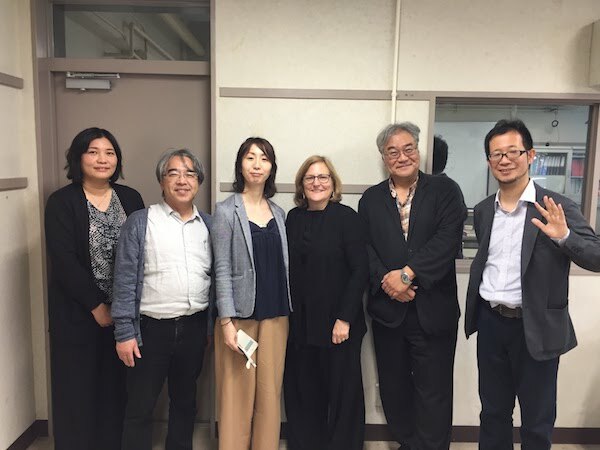 During her travels, we’ll be posting updates from Professor Kanter from these locales, and others—she also plans to fit in a speaking engagement in Melbourne, Australia, and a lecture at Kobe University in Japan! Kanter’s world odyssey began on June 12 with a trip to Nairobi, Kenya. 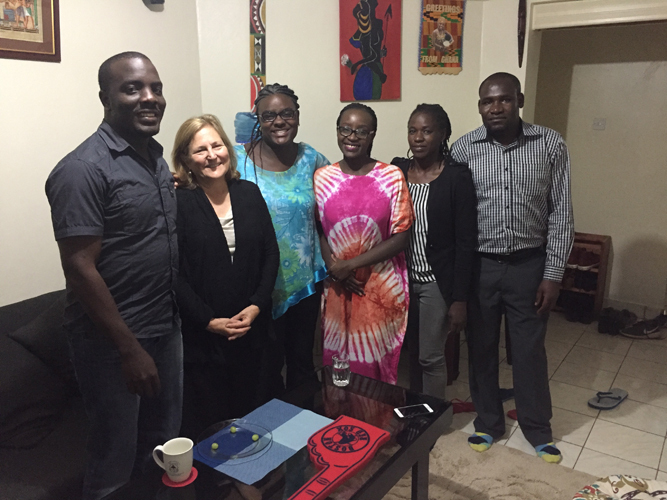 On June 14, she met alumna Milanoi Koiyiet LL.M. ’15 and women who are part of a network that Koiyet founded to raise awareness about violence against girls and women with disabilities. Koiyiet is helping to prepare a shadow report for the UN Committee on the Convention on the Elimination of Discrimination Against Women (CEDAW). “We also joined self-advocates as they sang their original song, titled ‘We Have Rights,’” says Kanter. 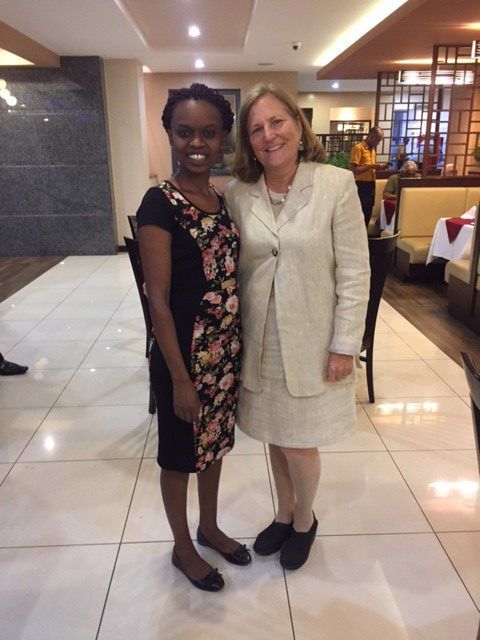 At a June 15-16 conference in Nairobi, Kanter presented on “Inclusive Education in Kenya and Beyond,” as well as “Violence Against Women and Girls with Disabilities” with Milanoi Koiyiet. 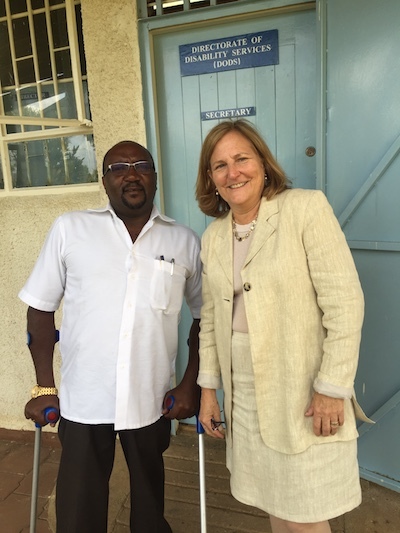 On June 19, Kanter visited Kenyatta University in Nairobi to speak on "The Inclusive University: The Right of Students with Disabilities in Higher Education in Kenya and Beyond." “My talk models the principles of universal design, using audio descriptions of photos and some questions and answers to actively include the audience,” explains Kanter. 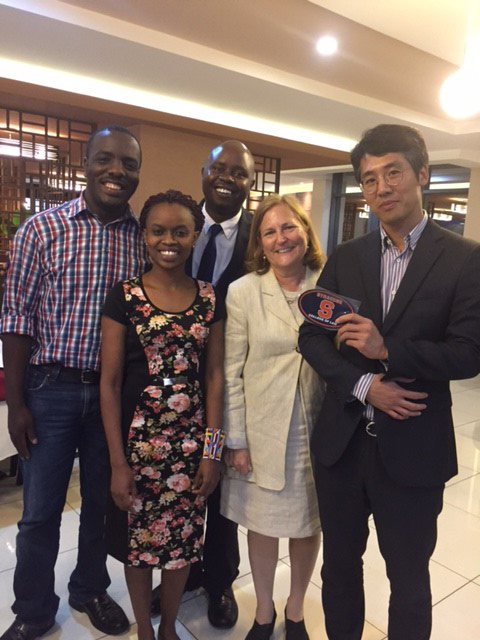 Aseka, as well as Sung Kuk Choi LLM ’15, who is now working at the Korean Embassy in Nairobi, and a colleague planning on attending the College in 2018. 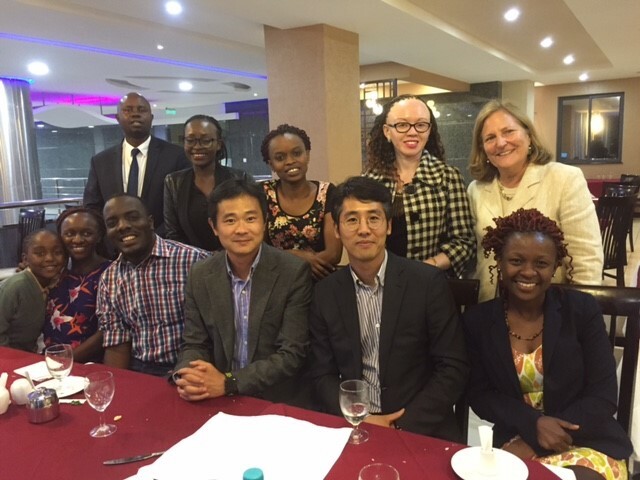 Kanter’s busy schedule continued on June 20 with a two-day “consultation” conference on violence against children, a collaboration among Disability Rights International, Better Care Network, The African Child Policy Forum, and others. The conference was opened by Kenya’s Director of Children Services Noah Sanganyi. The keynote was given by Benyam Mezmur, the immediate former chair of the UNCRC Committee of Experts and the current chair of the Committee of Experts of the African Charter on the Rights and Welfare of the Child. Kanter returned to the United States on June 24, to spend time with family in Boston and to finish an article for Cardozo Law Review. Continuing her engagement with disability rights scholarship and advocacy around the world during her sabbatical year away from the College of Law, Professor Arlene Kanter visited Israel in August 2017 to work on a research project to support students with disabilities in higher education. In collaboration with five faculty members from Haifa University—Drs. Naomi Schreuer, Dalia Sachs, Sagit Mor, Carmit Shpigelman, and Miri Sarid—the research project seeks to assess the efficacy of Israeli university and college centers that have been developed in the past five years to support students with disabilities. What Kanter found in Israel was that there were no laws or policies about access to higher education for students with all types of disabilities, and little information or research about these students or the services they receive at the universities and colleges in Israel. Known as the “Revolution in Higher Education,” Kanter says that this program resulted in government funding to support the development of centers at Israel’s eight public universities and at about 40 of Israel’s 60 private colleges. Subsequently, NII chose Kanter and a research team at Haifa University to conduct a five-year study on the efficacy of these centers and their role in changing the culture of universities to become more inclusive of students with disabilities. In August 2017, Kanter and her colleagues reviewed their preliminary research results. She explains that the research uses focus groups, questionnaires, and interviews with students, staff, and faculty (conducted in Hebrew by the Haifa University researchers). Data will be compiled into what will be Israel’s first nationwide database on students with disabilities, the barriers they face in accessing higher education, and the role the centers play in meeting their needs. Kanter worked with the UN from 2001 to 2006 on drafting the CRPD, including Article 24 that guarantees the right of all children and adults with disabilities to inclusive education, including in higher education. The UN adopted the CRPD in 2006, and since then it has been ratified by 174 countries, including Israel—but not the United States. Kanter says she will continue her work on this research project along with other activities, when she returns to Israel after her current semester as a visiting scholar at Harvard Law School. Kanter was awarded the prestigious Lady Davis Fellowship at Hebrew University for the spring 2018 semester. At Hebrew University, she will teach a course on Human Rights and Disability at the law school as well as work with faculty throughout the university on a new Disability Studies program that was launched earlier this year. 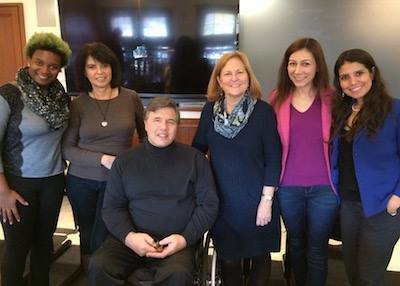 FALL 2017—While a Visiting Scholar at Harvard Law School, Professor Arlene Kanter delivered the lecture “The Difference a Treaty Can Make: The Case for the UN Convention on the Rights of Persons with Disabilities” (on Nov. 10, 2017). She is shown with Michael Stein (center), Director of Harvard Disability Law Project and University and College of Law students Lilliana Penaherrera Sanchez (M.S. 2017), Khawla Waakaf (LLM 2017), and Carla Jeannette Villarreal Lopez (LLM 2017). 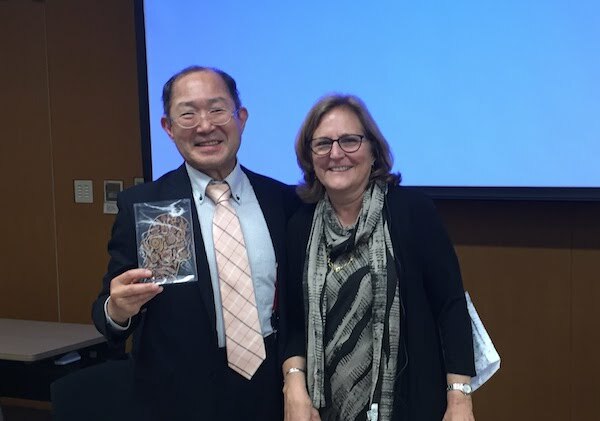 Professor Arlene Kanter presented her talk “Gendering International Disability Rights” at a Nov. 17, 2017, Northeastern University School of Law symposium entitled “International Law, Local Justice: Human Rights Transformed.” The symposium honored Northeastern Law Professor Hope Lewis, an expert in human rights and women's rights law, who passed away in December 2016. “I chose this topic because in 2012 Professor Lewis and Stephanie Ortoleva wrote ‘Forgotten Sisters, Violence Against Women with Disabilities,’ an article that greatly influenced my own work in human rights and disability, particularly my work on violence against girls and women with disabilities,” explains Kanter. 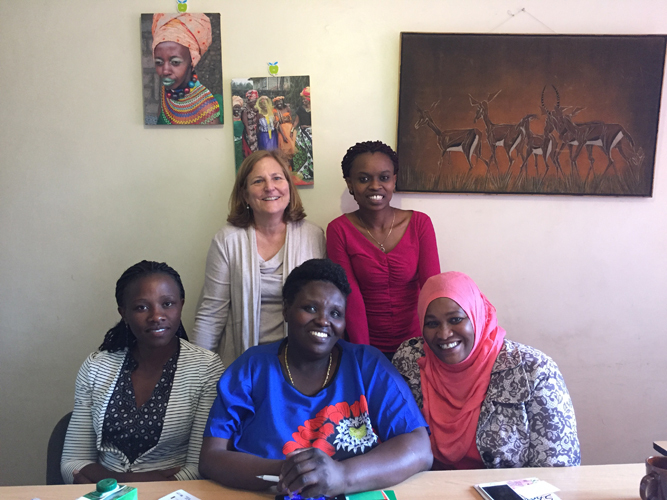 Since 2014, Kanter has worked with Handicap International on a project to raise international awareness about violence against girls and women with disabilities. In 2015, HI produced a report, co-authored by Kanter, entitled “Making It Work Initiative on General and disability Inclusion: Advancing Equity for Women and Girls with Disabilities.” Kanter has presented this report to the UN Committee on the Status of Women and at the Conference of State Parties of the UN Convention on the Rights of People with Disabilities. In her talk at the Northeastern Law symposium, Kanter discussed the role of international human rights law in protecting women and girls with disabilities from violence and highlighted work that needs to be done in this area since such laws have been inadequate to end such violence. “In my presentation, I drew on research that my former students, Milanoi Koiyiet LL.M. ’15 and Carla Villarreal Lopez LL.M. 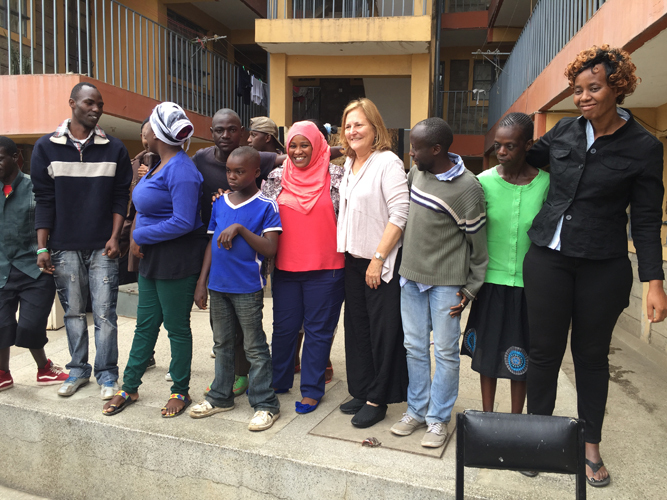 ’17 conducted concerning the treatment of women and girls with disabilities who are subjected to violence in their home countries of Kenya and Peru, respectively,” Kanter explains. Kanter has accepted an invitation from the Symposium conveners to contribute to a special issue of the Northeastern University Law Review honoring Hope Lewis and her work in the area of human rights law. Her article, co-authored with Villarreal Lopez, is forthcoming. Currently on sabbatical from the College of Law, Kanter was a Visiting Scholar at Harvard Law School for the fall semester, and she is currently a Lady Davis Fellow at Hebrew University Faculty of Law for the spring semester. At Hebrew University, Kanter will teach a course on International Human Rights and Comparative Disability Law to law students and students enrolled in Hebrew University’s new interdisciplinary Disability Studies program, which Kanter helped to develop. During her sabbatical year, Kanter also will complete several scholarly articles and begin a new book on international human rights treaties and disability law. 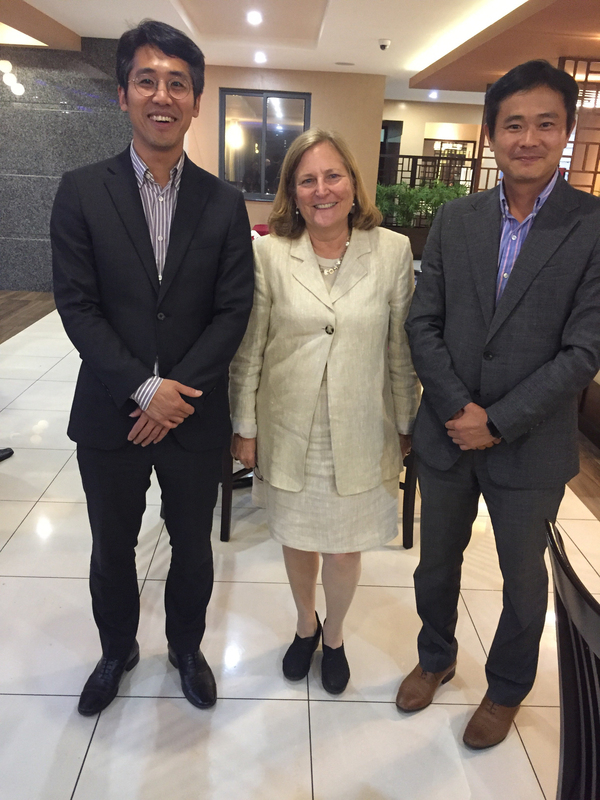 Professor Arlene Kanter has been productive while on her sabbatical away from the College of Law, beginning in June 2017 and taking her around the world. Currently a Lady Davis Fellow at Hebrew University Faculty of Law for the spring 2018 semester, Kanter has found time to catch up on her scholarship and writing, completing no less than five articles that have been recently published or are forthcoming in books and journals. Topics Kanter addresses include the Convention on the Rights of Persons with Disabilities, inclusive education, the concept of personhood, and equal access to justice. "The Failure of the United States to Ratify the CRPD." In Recognising Rights in Different Cultural Contexts: The United Nations Convention on the Rights of Persons with Disabilities (CRPD). Eds. K. Johnson and E. Kakoullis. Palgrave Macmillan (forthcoming 2018). "Inclusive Education Under International Law." In The Right to Inclusive Education in International Human Rights Law. Eds. G. De Beco, S. Quinlivan, and J. Lord. Cambridge University Press (forthcoming 2018). "Commentary on Article 35 of the UN Convention on the Rights of People with Disabilities: Reports by State Parties." In A Commentary on the United Nations Convention on the Rights of People with Disabilities. Eds. I. Bantekas, M. Stein, and D. Anastasiou. Oxford University Press (forthcoming 2018). "The Fight for Personhood, Legal Capacity, and Equal Recognition Under Law for People with Disabilities in Israel and Beyond." 39 Cardozo L. Rev. 557-610 (December 2017). Professor Arlene Kanter spoke at the International Law Forum of the Hebrew University Faculty of Law on March 27, 2018. The title of her talk was "Do Human Rights Treaties Make a Difference: The Case for the Convention on the Rights of People with Disabilities." In this talk, Professor Kanter discussed the role of human rights treaties, generally, and refuted recent scholarship that claims such treaties have no impact on domestic practices. With examples from her research in various countries, Kanter's paper argues that the Convention on the Rights of People with Disabilities (CRPD) is having an impact on the development of domestic laws with respect to inclusive education, legal capacity, the rights of women, and the integration of people with disabilities within society. 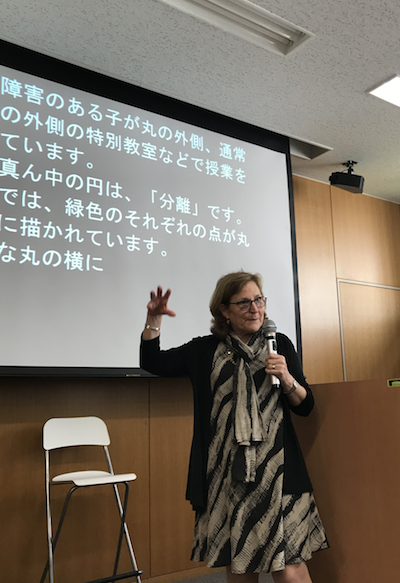 In April 2018, Professor Arlene Kanter presented lectures on disability rights laws at Waseda University, Sophia University, and Nara University in Japan. 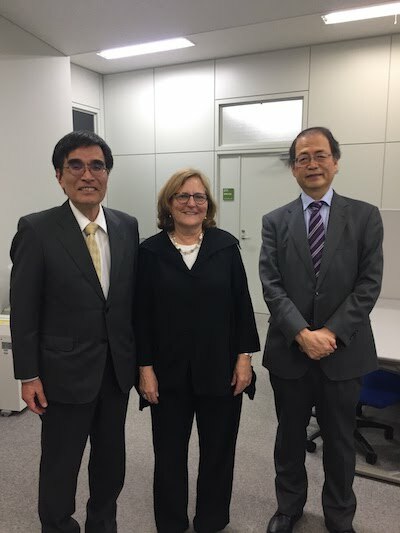 She also met with lawyers, judges, disability activists, and government officials; Tokyo University faculty; and deans of several law schools about the possibility of developing faculty and student exchanges with the College of Law.